Since October the 21st in 2013, the date chrisJ joined mousesports, he has remained the one constant in an ever-changing line-up. Under the mouz banner, Chris played with an incredible 22 different players, including legends like gob b, NiKo, karrigan, allu and Troubley to name just a few. All these years, mousesports hoped to reclaim the glory their Counter-Strike 1.6 roster bathed in back in the days. And all these years, one theme remained unaltered – each new mouz roster reincarnated and ultimately failed at satisfying said hope. But that may now be over. chrisJ has teamed up with oskar, ropz, suNny and STYKO, and glory lies within reach, ready for the taking. A lot had to change for the winning conditions to materialize within mousesports, and it was certainly chrisJ who had to change the most. After years as the main AWPer, Chris not only transformed to a rifle, secondary AWP and entry-fragging hybrid, but he also successfully transitioned to becoming the team’s IGL – the most difficult role in Counter-Strike. In fact, chrisJ already seems more adept at IGLing than some of his peers who have been at it for years. Sergey “lmbt” Bezhanov, mousesports’ coach and former in-game leader himself, certainly played a big part in this smooth and speedy transition. 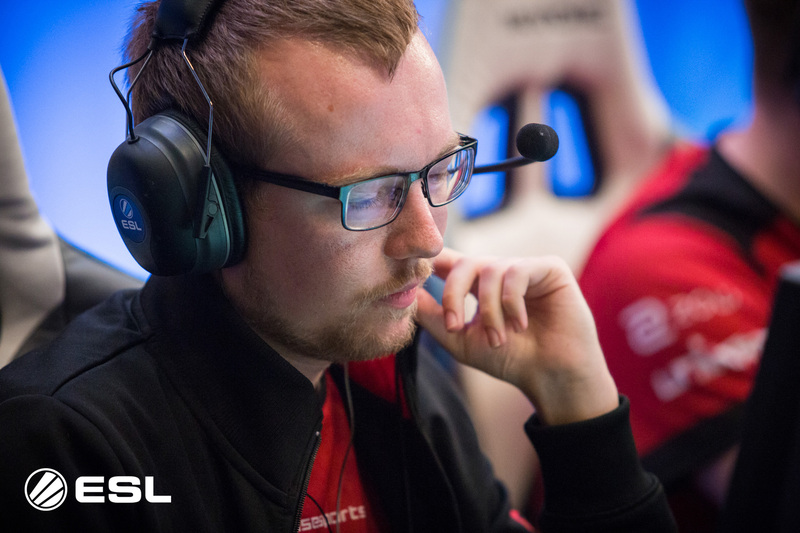 But chrisJ also excels at the most obscure and difficult part of IGLing, mid-round calls – reaching a decision based upon incomplete information, and whoever averages fewer mistakes typically gets the W.
Of course, none of mouz’ recent success would be possible if Chris didn’t know some of the world’s most talented players by his side, who fit the traditional Counter-Strike roles to a T.
In oskar, mousesports can call one of the world’s top AWPers their own. Only s1mple and GuardiaN are currently a notch above. oskar consistently tops the scoreboard for his team, he rarely has an off-day, and when he does, it’s usually ropz or suNny who take over. This is also where chrisJ’s years as main AWPer come in handy, when mouz goes for the most deadly double AWP set-up in the game right now. On the rifle, a lurker/late-round clutcher, we have ropz. Less than year ago completely unknown, today one of the best there is. He rose through the ranks in a flash, and at only 18 years of age plays a role that’s commonly reserved for more seasoned pros. suNny is mousesports’ playmaker, famous for his infamous connector play on de_mirage, one of the main reasons mouz is considered the world’s best team on the map. Last but not least, in the all-important support role, STYKO. He’s a TACO-esque kind of player, who gladly sacrifices individual freedom for team success. Especially after recent rumors surfaced about dennis replacing him, STYKO has stepped up his game, now looking sharper than ever. Ever since these five boys from all over Europe teamed up, they’ve been steadily improving. They won ESG Tour Mykonos in an epic final against Liquid last year, then they finished second at the ECS Season 4 Finals in December in a loss to FaZe. 2018 has seen chrisJ & Co. coming out of the gate even stronger, reaching the playoffs of the Boston Major before their biggest success to date only a few weeks back, gold at SL i-League in Kiev against Na’vi with a s1mple in god mode. mousesports’ start into Pro League Season 7 has also been very convincing. They have entered Week 4 leading the league, and have already faced most of EPL’s toughest teams, with 2-0 victories over FaZe and Fnatic. The future looks bright for the European mix. They play smart CS and their style appears sustainable, unlike so many teams we see that appear at the top seemingly out of nowhere and just as quickly vanish again. Especially mouz’ strength on mirage will serve them well going forward, as most top-tier teams prefer to leave the map in the pool. Yes, glory lies within reach for chrisJ’s mouz, but they haven’t taken it yet. Only with consistency over a prolonged period of time can they come to own it. Otherwise it’s nothing but hot air. Auf gehts, ab gehts, mouz gehts! Tune into the stream here to watch chrisJ & Co. battle for a spot in the offline finals in Dallas. If you want to watch the season finals, you can purchase tickets here. For all the latest updates on the ESL Pro League, be sure to follow ESL Counter-Strike on Twitter and Facebook.